Our 16 oz. bistro coffee mug has become a popular way to start the day. 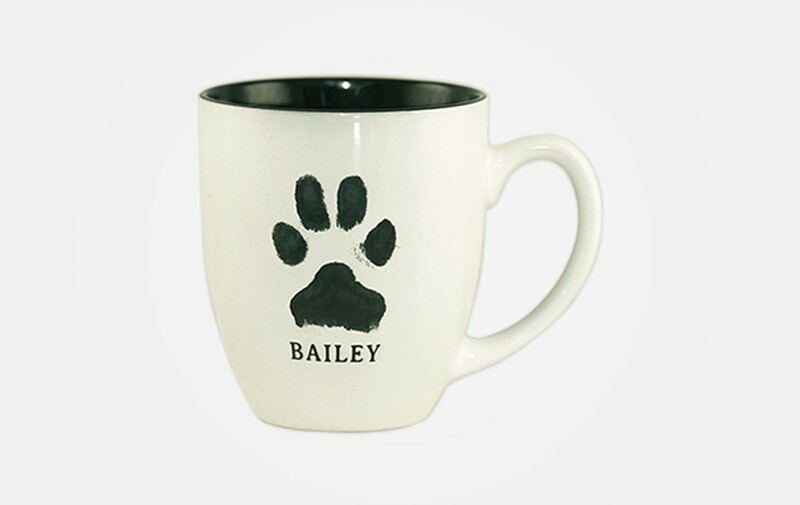 Your buddy’s actual paw or nose print and name are engraved in black on this white mug. Buy three and get a fourth for free.